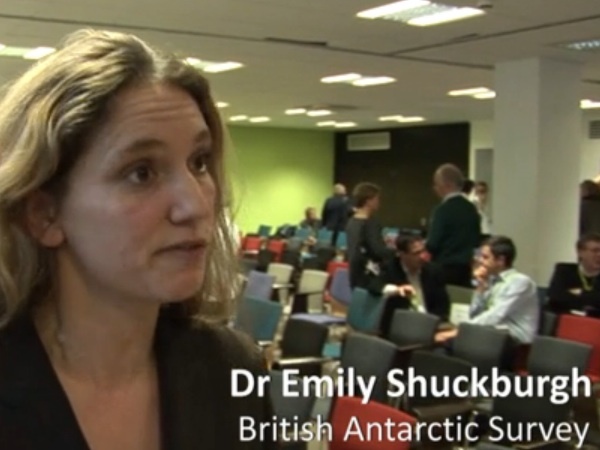 Dr Emily Shuckburgh is a climate scientist based at the British Antarctic Survey. She is the principle investigator of national capability project funded by the Natural Environment Research Council, “Ocean Regulation of Climate by Heat and Carbon Sequestration and Transports (ORCHESTRA)”. At the British Antarctic Survey she is deputy head of the Polar Oceans Team, which is focused on understanding the role of the polar oceans in the global climate system, and she leads the Data Science Group, which aims to foster the application of various machine learning (and adjacent) techniques to the rapidly growing, complex, and heterogeneous body of data found in atmospheric, oceanic, and Earth sciences. Her personal research concerns investigating the dynamics of the atmosphere, oceans and climate using theoretical approaches, observational studies and numerical modelling. She holds a number of positions at the University of Cambridge. 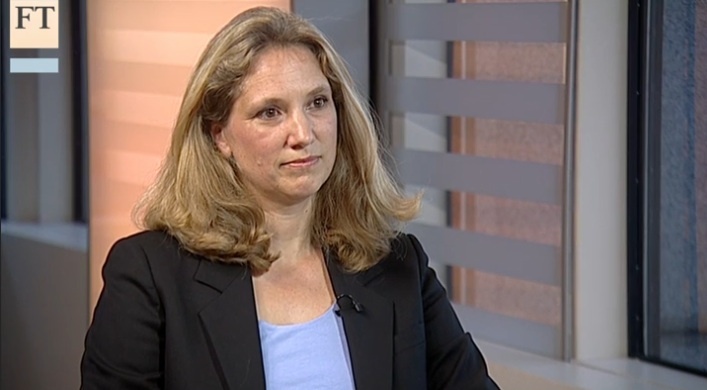 She is a fellow of Darwin College and an associate fellow of the Centre for Science and Policy. She is also a fellow of the Cambridge Institute for Sustainability Leadership, which is dedicated to working with leaders from business, government and civil society on the critical global challenges of the 21st century such as climate change, water scarcity and food security. She completed her undergraduate studies in mathematics at the University of Oxford and a PhD in applied mathematics at the University of Cambridge. She then conducted post-doctoral studies in atmosphere and ocean dynamics at Ecole Normal Superieure in Paris and at MIT. She is a fellow of the Royal Meteorological Society, co-Chair of their Climate Science Communications Group and a former Chair of their Scientific Publications Committee. She is also a trustee of the Campaign for Science and Engineering. She has acted as an advisor to the UK Government on behalf of the Natural Environment Research Council. In 2016 she was awarded an OBE for services to science and the public communication of science. She is co-author with HRH The Prince of Wales and Tony Juniper of the Ladybird Book on Climate Change. Climate Change and the Polar regions, in Science in Parliament, Witsun 2013, [PDF]. The Scientific Basis of Climate Change, in The Darwinian, Issue 9, Summer 2007, [PDF]. Innovative Britain, in The New Statesman, 16 January 2006, [PDF]. Report of the SPARC Workshop on the Role of the Stratosphere in Tropospheric Climate, in SPARC Newsletter, 21, June 2003, [webpage]. Review of AGU Fall Meeting Session: New Insights into Stratospheric Chemistry, Dynamics, and Transport, in SPARC Newsletter 18, January 2002, [webpage]. Brewer-Dobson Workshop, 13-15 December 1999, Oxford, UK, in SPARC Newsletter 15, [webpage]. Modulation of Tracer Transport in the Tropical Lower Stratosphere by the QBO, in UGAMP Newsletter 20, January 1999, [webpage]. The Impact of Mixing within the Antarctic Stratospheric Vortex on Springtime Ozone Loss, in UGAMP Newsletter 20, January 1999, [webpage]. Women’s Lab, in The Sunday Times, [PDF]. Brains Glore, in Eve Magazine, [PDF]. Haynes, P.H., Poet, D.A., Shuckburgh, E.F., Transport and mixing in kinematic and dynamically-consistent flows, J. Atmos. Sci., 64, 3640-3651, 2007. Marshall, J., Shuckburgh, E., Jones, H., Hill, C., Estimates and implications of surface eddy diffusivity in the southern ocean derived from tracer transport , J. Phys. Oceanog., 36, 1806-1821, 2006. Shuckburgh, E. F., and Haynes, P. H., Diagnosing transport and mixing using a tracer-based coordinate system , Physics of Fluids, 15, 3342-3357, 2003. Scott, R. T., et al., Stretching rates and equivalent length near the tropopause. J. Geophys. Res., 108, 4394, 2003. Baldwin, M. P., et al., Weather from the Stratosphere? Science, 301, 317-319, 2003. Shuckburgh, E. F., et al., The influence of the quasi-biennial oscillation on isentropic transport and mixing in the tropics and subtropics. J. Geophys. Res., 106, 14,327-14,338, 2001. Lee, A. M., et al., The impact of the mixing properties within the Antarctic stratospheric vortex on ozone loss in spring. J. Geophys. Res., 106, 3,203-3,211, 2001. Haynes, P. H. and Shuckburgh, E. F., Effective diffusivity as a measure of atmospheric transport, Part I: stratosphere. J. Geophys. Res., 105, 22,777-22,794, 2000. Haynes, P. H. and Shuckburgh, E. F., Effective diffusivity as a measure of atmospheric transport, Part II: troposphere and lower stratosphere. J. Geophys. Res., 105, 22,795-22,810, 2000. Shuckburgh, Emily, Chambers, Catherine. 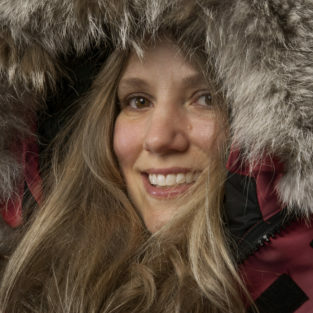 (2014) Polar scientist: the coolest jobs on the planet. Raintree, 48 pp. Shuckburgh, Emily. (2013) Climate change and the polar regions. Science in Parliament, 70. 14-16. Grant, Timothy, Laws, Robert, Shuckburgh, Emily. (2013) Inferring ocean currents from the shapes of towed seismic streamers. Extended abstract. In: 75th EAGE Conference & Exhibition incorporating SPE EUROPEC London, 10-13 June 2013. Shuckburgh, Emily. (2012) Climate scientists need to study the public, too. Research Fortnight, 400. 22-22. Shuckburgh, Emily, Robison, Rosie, Pidgeon, Nick. Simos, TE, Psihoyios, G, Tsitouras, C, Anastassi, Z (eds.). (2012) Climate science, the public and the news media. Summary findings of a survey and focus groups conducted in the UK in March 2011. Living with Environmental Change, 56 pp. Gille, Sarah T., Ledwell, James, Naveira-Garabato, Alberto, Speer, Kevin, Balwada, Dhruv, Brearley, Alex, Girton, James B., Griesel, Alexa, Ferrari, Raffaele, Klocker, Andreas, LaCasce, Joseph, Lazarevich, Peter, Mackay, Neill, Meredith, Michael P., Messias, Marie-José, Owens, Breck, Sallée, Jean-Baptiste, Sheen, Kathy, Shuckburgh, Emily, Smeed, David A., St.Laurent, Louis C., Toole, John M., Watson, Andrew J., Wienders, Nicolas, Zajaczkovski, Uriel. (2012) The Diapycnal and Isopycnal Mixing Experiment: A First Assessment. CLIVAR Exchanges, 58(Vol. 17(1). 46-48. Shuckburgh, Emily. (2011) Weather and climate. In: Environmental hazards. The fluid dynamics and geophysics of extreme events, London, World Scientific Publishing Co. Pte. Ltd., 63-97. (Lecture Note Series, Institute for Mathematical Sciences, National University of Singapore, ). Moffatt, H.K., Shuckburgh, Emily (eds.). (2011) Environmental hazards. The fluid dynamics and geophysics of extreme events. London, World Scientific PublishingCo. Pte. Ltd, (Lecture Note Series, Institute for Mathematical Sciences, National University of Singapore, 21). Dr. Emily Shuckburgh at Hay Festival: How will climate change affect me? Debate: Is the UK doing enough about climate change? Tackling climate change: whose responsibility is it?